Read all about the latest film 101 Chodhyangal which is directed by actor Sidhartha Shiva. The film will be produced by Thomas Kottakakam in the banner of Sevens Paradise. 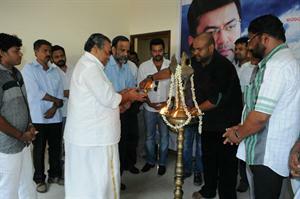 Cast includes Indrajith, Sudheesh, Jagathi Sreekumar. 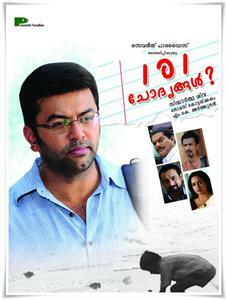 101 Chodhyangal is the new malayalam movie that is being directed by a new director. Sidhartha Shiva is familiar to all the malayalam film viewers as he has been an actor in many of the malayalam films. In fact he is the son of the famous director Kaviyoor Shiva Prasad who had made a niche for himself in Malayalam film industry. Sidhartha Shiva debuted in malayalam film industry with the film Thirakkatha. After that he has become a notable actor in quite number of films. His acting in films like Rithu where he portrayed a character which delved into the plot line of the story was much appreciated. In the film Rithu he played a man who had been the victim of the information technology boom. The character was aptly portrayed by him and he became an actor who can act roles other tan comedy characters with this film. In the film Theja Bai And Family he became the character blade (accomplice to Prithviraj which became a familiar name to any of the avid movie goers. True to the genesis that runs in his veins, it was his ambition to direct a film. Earlier he had written the screenplay for the feature film Vandhe Matharam which was aired in Jeevan TV. And now Siddhartha Shiva turns director with the film 101 Chodhyangal which will have Indrajith in the main lead. The film will be produced by Thomas Kottakakam in the banner of sevens paradise. 101 Chodhyangal will have a good star cast of popular actors in Malayalam film industry. The film will have the much experienced M.K.Arjunan as the music director tuning the songs penned by Shobin Kannangatt. The camera will be done by Prabhath E.K. Malayalam film industry seems like to be in the golden face with more number of young directors coming to the direction. In fact it would be these directors who would decide the fate of malayalam film industry in the years to come. Casanovva is the much awaited romantic action thriller film in Malayalam staring the complete actor Mohanlal in the lead role. This multi starer mega budget malayalam film is being directed by hot favourite Rosshan Andreews. Packed with romance, action and more than that it would be the most thrilling film that Malayalam industry had ever had seen. Second Show Malayalam Movie Story,Cast,Release Date is added here. Know about the forthcoming Malayalam film ‘Second Show’ in the making and is expected to be in the theaters by January 2012. The film is different from the run of the mill films. It has many new comers in different fields of Cinema. The hero and heroine are new comers. The director is new comer. Most of the actors are new from the Kozhikode side. The film will be a welcome trend with new artists and new theme with a big budget. Second show is an upcoming Malayalam movie directed by Sreejnath Rajendran. Dulquar Salman, son of Mammootty, is making his debut in the Malayalam film industry through this movie and is released on January 2011. The movie Second Show is the second film of AOPL Entertainment, the production company. Dileep and Mamta Mohandas seems to be an interesting pair in Malayalam. The latest buzz is that Mummy and Me director Jithu Joseph will direct them in his new movie My Boss. Read an exclusive preview report on this film including the star cast and crew of My Boss first on net. After the big success of his super hit movie Salt N' Pepper, director Aashique abu is starting the works on his next movie named Idukki Gold. The latest news about Idukki Gold is that the movie will have five heroes - all are senior actors in Malayalam. Read more about the latest news and updates of Idukki Gold Malayalam Movie.